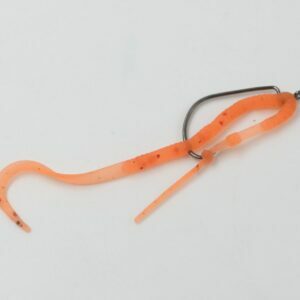 Necktie worms are designed as attractants for a kind of saltwater jig commonly used in Japan, but are amazingly effective for just about anything that goes for a worm. There is no other worm with such a slender profile. 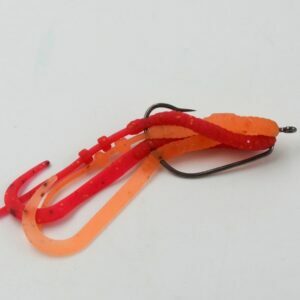 Some common rigging methods for freshwater fishing. 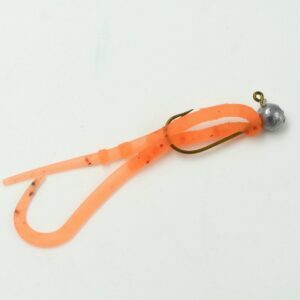 Just fold the worm in half and put both on a hook. Use the “ballzy” end as a weed guard or just leave free. Doubling the worms and mixing colors has brought in fish when nothing else has.